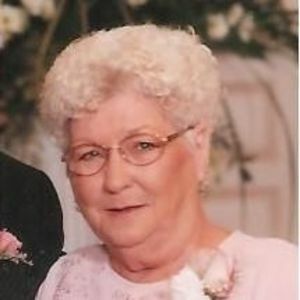 GREENVILLE – Corrine Norris Sparks, 80, of Greenville, died Sunday, March 3, 2013 at Muhlenberg Community Hospital in Greenville. She was born September 14, 1932 in Muhlenberg County, was a homemaker and a member of the East Union Missionary Baptist Church in Graham. She is preceded in death by her parents, Urey and Beulah Norris and a brother, James Robert Norris. 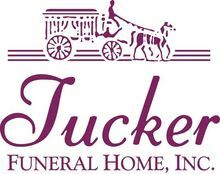 Funeral services will be held at 3:00 PM, Tuesday, March 5, 2013 at Tucker Funeral Home in Central City, conducted by Rev. Tondra Daughtery and Rev. Ron Wingo with burial to follow in the East Union Cemetery in Graham. Visitation will be Monday after 5:00 PM and Tuesday after 8:00 AM at the funeral home. The beautiful and interactive Eternal Tribute tells Corrine's life story the way it deserves to be told in words, pictures and video. She was such a very sweet kind person that nobody can forget. May you rest in peace. My prayers are with the family. My God hold them all very close. so sorry to hear of Corrine's passing. she was a very sweet lady. I know she loved her family very much. My thoughts and prayers are with you all. God Bless you. I will always remember Corrine fondly. We had a lot of fun playing softball years ago, and I remember her selling the Queen's Way Fashions. She had a beautiful smile. Bub, Norma, Kenny, Jeff, Greg, and the rest of the family will be in my thoughts and prayers. I hope that you find comfort in your memories and peace in the Hope of Heaven we find through Jesus. Love to you all. Corrine Sparks was a close friend of mine growing up !!! She was a wonderful person.Thinking and prating for the family !!! Dad and your family. Please let me know if there is anything I can do to help! I love you!!! Your in my prayers!